Marvel Comics has announced a few more printings to retailers. First that next week’s Generations Ms Marvel & Ms Marvel #1 will be going to a second printing, out on the 11th October. This has been the standard pattern for all of the Generations series from Marvel Comics so far. 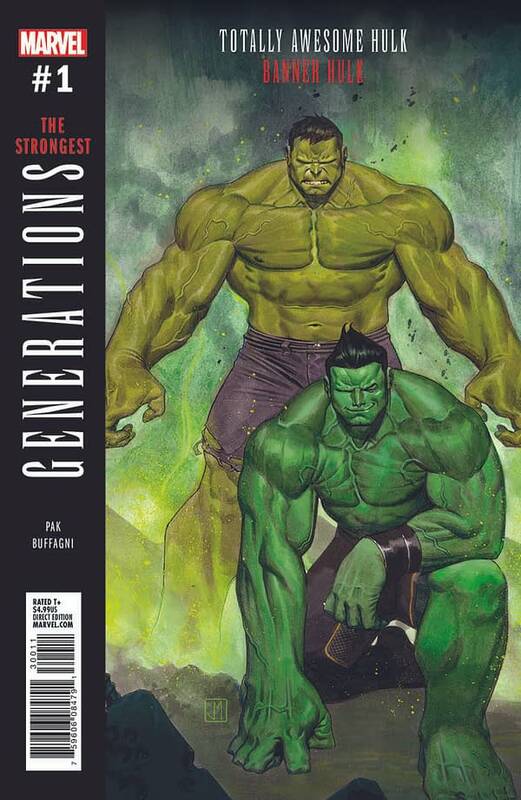 But it is a first for Generations Banner Hulk & Totally Awesome Hulk #1 which already has its second print a while back, and now will be getting a third printing. Barzinga: The Realm, Old Fashioneds, And Conventions!